Alameda County’s own coal mining community which prospered in the late 19th century but completely disappeared in the early 20th. 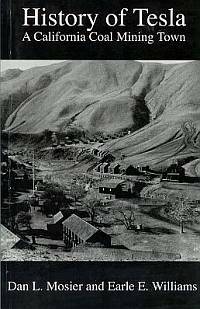 Located in the hills east of Livermore, Tesla provided fuel for California’s railroads, towns and industry. This 400 page book contains period photographs, maps and illustrations of the town and people.